You’ll often hear people talk about blueberries as a superfood. Seems reasonable, right? Surprisingly, there are conflicting views on this all over the world. “Do blueberries deserve to be labeled in the category of true superfoods?” To those who pose these types of questions, we say let’s start with the basics – define what it takes to be considered a “superfood,” and then get into the nitty gritty details of these baby blues and let the facts speak for themselves. immune system owing to its naturally high content of vitamins, minerals, fiber, antioxidants, or omega-3 fatty acids. At first glance, it seems like a hard argument to try and prove blueberries are not considered a superfood based on that definition. Blueberries are low in calories and super high in nutrients. 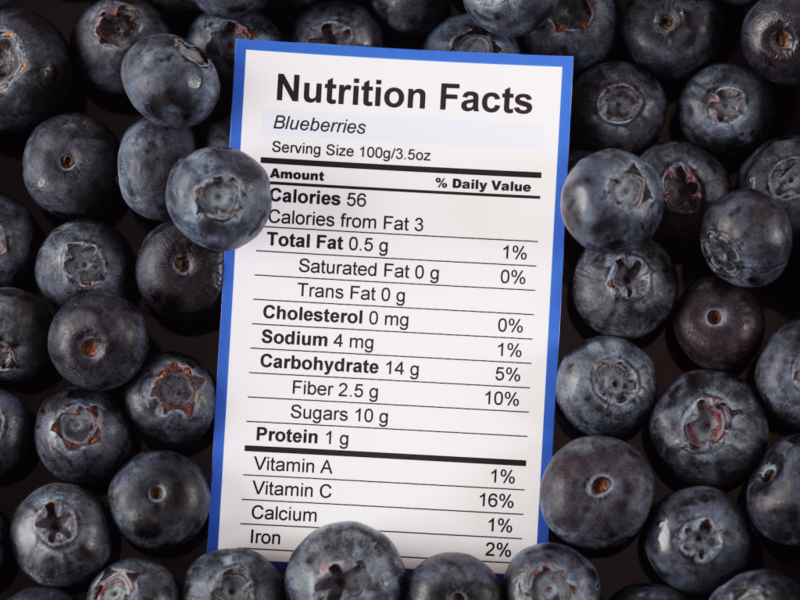 In fact, blueberries are among the most nutrient-dense berries in the world! Whether it is among the fiber, vitamin C and vitamin K intake alone on a single cup of blueberries – we’d consider it to be a darn good overall fruit considering they are made of 84% water, the rest being nutrients. Blueberries are considered the King of antioxidant foods. There’s no way around it – we need antioxidants in order to protect our bodies. 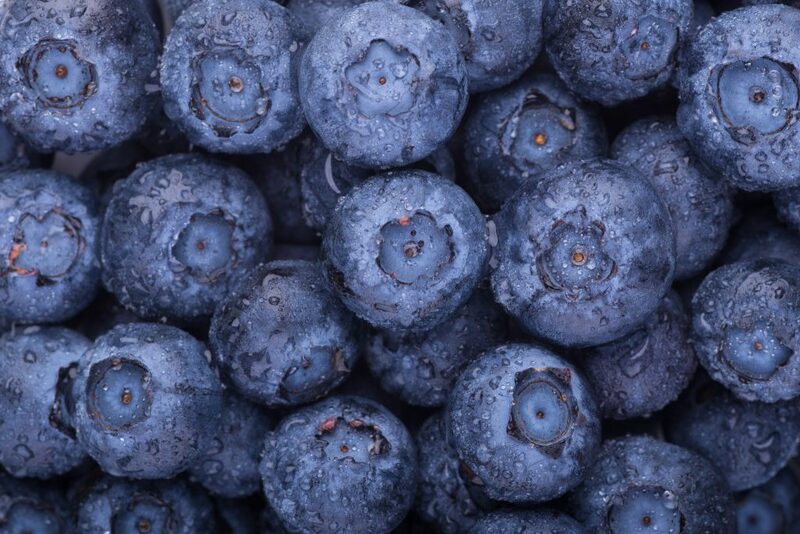 Blues have the highest antioxidant capacity out of any common fruit or vegetable. Blueberries protect cholesterol in your blood. It turns out, the oxidation of bad cholesterol is one of the most significant leaders into heart disease. Blueberries help protect this oxidation of the cholesterol. Many studies have shown a significant link to blueberries lowering blood pressure. If you are someone who is prone to high blood pressure, may we suggest making a handful of blueberries a day a priority? Given the above facts, it may come as no surprise to learn blueberries help maintain brain function and improve memory. This one is especially important for the kiddos. As kids’ brains are developing, we as parents want to ensure we have done everything we can to help them be successful. The primary way we have found to help encourage this is through the foods we provide for them. With blueberries linked to affecting areas of the brain that are associated with increased intelligence, you better believe our kids have a handful of blueberries in their cereal every morning! Prone to UTI’s? Similar to cranberries, blueberries are known to contain substances that prevent certain bacteria from clinging to the wall of the bladder. Blueberries don’t seem to get the same reputation as cranberries for bladder health, but they are definitely part of the family. …Can we just stop there and make the justification that blueberries have well earned their title to be one of the most powerful superfoods on the planet? These little guys are native to America but didn’t make it from “farm-to-table” until around 1916. The real blue dynamo boom started around 1942, moving quickly from state to state. The subtle sweetness, the nutritional value and flavor additions quickly hit the radar of many civilians with hardly any effort. 1974 was the year the USDA officiated July as National Blueberry Month. In 2003, New Jersey claimed the blueberry as their state berry. Smart move. Over the following years, the love for these baby blues found themselves being planted in the White House garden, was found as ingredients in over 4,000 products throughout many industries, consistently held a mention on the top of restaurant menus, and to no surprise, production across five continents rose to 1 billion in 2014. It was in 2015-2016 that the high bush blueberries officially celebrated the 100-year anniversary. There’s no slowing down in sight for these powerful little ones! Back to you – what should you look for when buying blueberries at the store? Search for berries that are firm, dry, plump with smooth skin. Blueberries were not always blue – they started out green, so when you are selecting your blues, make sure they are a deep purple-blue color. Hot Tip: Check and see if you find any juice stains on the container – if you do, this could be a sign of bruising and we suggest going with a different package. It is suggested to store blueberries in the refrigerator when you get home immediately. Just like table grapes, it is best to not wash and wet the blueberries until right before use. Fresh blueberries are recommended to be consumed within ten days of purchase date.